Our 8mm rainbow spheres are amazing. 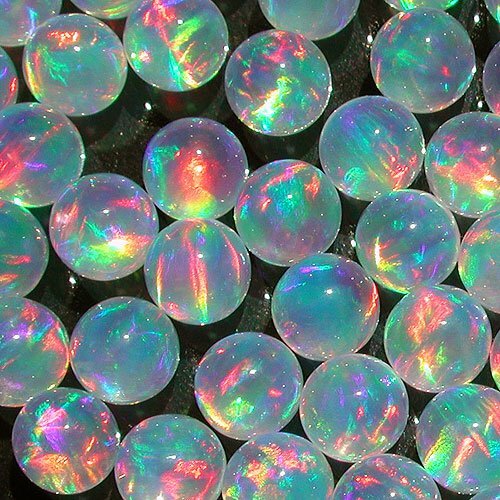 The body of the opal is colorless and transparent which means you can see all the fire contained in the opal not just the fire on the surface of the stone. These big rainbow opals look especially impressive when they are encased and brought out into the direct sunshine. These opals make a great focal and are sure to turn heads.